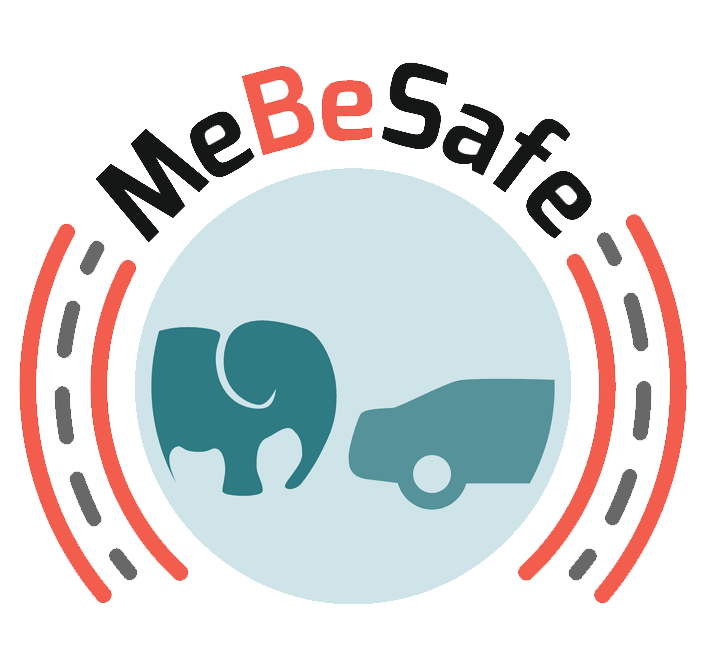 MeBeSafe is organised in six Work Packages. The interaction between the different Work Packages is visualised in the image to the left. WP 1 will combine existing theoretical models on behavioural change with existing research on coaching, nudging and feedback frequency. This will lead to a framework to describe parameters for behavioural change that are to be used in the design of specific measures throughout WP2-WP4. WP2 focusses on the design, development and preliminary testing of in-vehicle nudging solutions to be further tested in the field evaluation of WP5, as well as the definition and development of the interfaces to in-vehicle sensor systems that will provide driver behaviour data for the coaching scheme. Nudging aims at directing the attention of the driver towards potentially hazardous situations, whereas coaching is intended to stimulate the more frequent use of functions that enhance safety. WP3 will design and test infrastructure nudging measures directed towards road users (drivers, cyclists), aiming at increasing safe behaviour in specific situations and sections of road. The developed measures will be given as input to WP5, to be tested at a field trial. WP4 focusses on the definition of both on-line (delivered via technology, after the driving session has finished, when the driver is inactive) and off-line (delivered by humans, using information from technical systems) coaching schemes directed towards professional and non-professional road users. The coaching schemes will be evaluated in field trials in WP5. 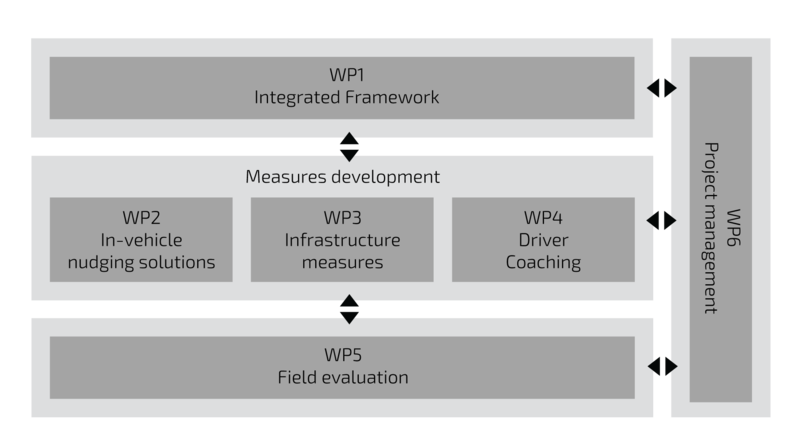 WP5 is the central work package for the field testing and evaluation of the nudging in-vehicle, nudging infrastructure, and coaching measures developed in WP2, WP3, and WP4 respectively. The WP will make use of instrumented vehicles and infrastructure locations, and will recruit drivers and cyclists.